US President Donald Trump's frustration over his campaign to fence off the US-Mexican border spilled into linguistic territory when he declared himself fed up with people dancing around what to call his dreamed-of barrier. "Lets just call them WALLS from now on and stop playing political games! A WALL is a WALL!" Trump tweeted. In other tweets, he signalled that he's in no mood to compromise. "The Wall is getting done one way or the other!" he vowed. He also said: "More troops being sent to the Southern Border to stop the attempted Invasion of Illegals.... With a Wall it would be soooo much easier and less expensive. Being Built!" The saga of Trump's troubled plan to boost defences along the Mexican border has seen politicians and the president manoeuvre repeatedly in search of the right terminology. Originally, Mr Trump revelled in the word "wall," leading chants at rallies of "build the wall!" But as Democrats in Congress pushed back, accusing Trump of demonising immigrants and promoting "medieval" wall technology, he tried to soften the message, referring to "a barrier." Also, instead of a solid concrete structure, Mr Trump began to emphasise that he was really asking for steel slats. "Artistically designed steel slats," he specified in December. Despite the word games, Democrats remained steadfast in declining to back the president's signature project. This led to a standoff in which Mr Trump refused to fully fund government, shutting down swaths of federal jobs for five weeks. Democrats and Republicans in Congress are now trying to come up with a border security compromise. If they don't agree before a February 15 deadline, Trump says he'll impose another shutdown or bypass Congress by seeking emergency funds. Yet another Trump tweet today indicated that he might not be expecting Congress to deliver the goods on "the DESPERATELY needed WALL." "I don't expect much help!" he said. 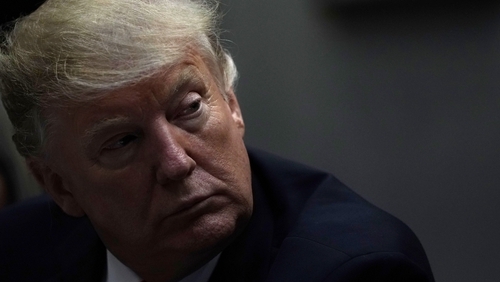 In an interview yesterday with right-leaning website The Daily Caller, Mr Trump made clear that declaring a national emergency at the border is very much on the cards. "We declare a national emergency if this doesn't work out," he said. Democrats have said they would likely seek a court injunction to halt use of emergency funds at the border, arguing that Mr Trump has exaggerated the seriousness of the situation and that there is no emergency.